This study is one of 3 Contemporary Studies. The Examiner won't know which Contemporary Study to have learned so the Exam won't ask a SPECIFIC question about Burger (2009). 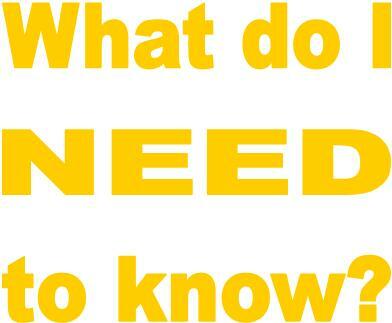 Instead, you could be asked to DESCRIBE it in general or EVALUATE it overall (APRC and GRAVE). You might be asked more specifically about methods (aims/procedure), findings (results/conclusion), about reliability/validity or about generalisability/application. You could be asked about ethics. Make sure you have points for each of these. This study was carried out by Jerry Burger. It is a partial replication of the famous Milgram study, with alterations to make it more ethical and an IV to test the hypotheses in more detail. One of Migram’s variations was Variation #5, which included the idea of the learner having a “heart condition” in the script. In Variation #17, there is a second teacher (also a confederate), who encourages the main participant to stop. Burger incorporates both ideas into his study. It shows how scientific research proceeds, because Burger is replicating parts of Milgram’s study to see if the conclusions still hold true today (if not, they are “time locked”). In the Milgram study, shocks went up to 450V and many participants became distressed in the later stage, making it unethical. Burger points out that in Variation #5 all the participants who did rebel against authority dropped out by 150V; the participants who were still obedient after 150V all went on to the end. 150V was the point where the heart condition was announced. This is the “point of no return”. 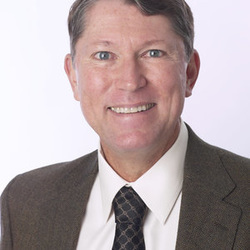 Burger argues there’s no need to continue the experiment all the way to 450V: if participants are prepared to go beyond 150V after learning about the heart condition, we can assume they would go all the way to 450V and spare them the distress. Burger is trying to make the study more ethical by not putting participants through (what he regards as) unnecessary distress. However, his assumption that participants who would go to 165V would go all the way to 450V is a big assumption. Burger was also interested in individual differences that Milgram ignored. He focuses on two traits: empathy and locus of control. Empathy is the ability to put yourself in someone else’s position. Would empathic individuals feel more sorry for the learner and want to stop sooner? Locus of control is the importance that autonomy and independence has for you. Would participants with a strong locus of control resent being ordered about and rebel? Notice Burger’s scientific approach. 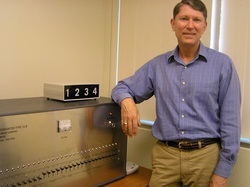 He has identified variables that might have influenced Milgram’s original participants (empathy and locus of control). Burger measures these traits using questionnaires then checks at the end to see if there’s a statistical link between scores in the traits and how many shocks the participants delivered. To find out if the same results as Milgram’s 1963 study re-occur when the study is replicated with modern participants in 2009. Also, to see if personality variables like empathy and locus of control influence obedience. Finally, to see if the presence of a disobedient “model” makes a difference to obedience levels. The main IV is the base condition (same as Milgram, 1963) compared with the “model refusal” (rebellious partner) condition. This is an Independent Groups design. It compares the 2009 participants with the 1960s participants and it also compares the control group with the disobedient model group. 70 participants (a mixture of men and women) did the experiment, being randomly put into the two conditions. They were a volunteer sample, recruited through newspaper and online ads and fliers left in libraries. They were paid $50 before the study started. They were aged 20-81. Burger actually recruited a lot more participants but screened many of them out. He dropped volunteers who had heard of Milgram’s original experiment, who had attended more than 2 Psychology classes, who had anxiety issues or drug dependency. It was a two-step screening process: those with psychological knowledge were screened at the start before even attending; those with drug or emotional issues were screened through a questionnaire when they arrived (but they still got paid, even though they didn't do the study!). 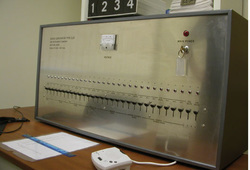 The procedure replicates Milgram’s variation #5 on his baseline study. The experimenter is a white man in his 30s; the confederate (learner) is in his 50s. The script resembles Milgram’s but the test shock that the participant receives is only 15V rather than Milgram’s painful 45V. The participant/teacher watches the learner being strapped into the electric chair and then sits at the shock generator in an adjacent room. The teacher reads out 25 multiple choice questions and the learner uses a buzzer to indicate the answer. If the answer is wrong, the experimenter directs the teacher to deliver a shock, starting at 15V and going up in 15V intervals. The learner indicates he has a “slight heart condition” but the experimenter replies that the shocks are not harmful. At 75V the learner starts making sounds of pain. At 150V the learner cries that he wants to stop and complains about chest pains. If the teacher moves to deliver the 165V shock, the experimenter stops the experiment. In the “model refusal” condition, a second confederate pretends to be a second teacher. This teacher delivers the shocks, with the naïve participant watching. At 90V the confederate teacher turns to the naïve participant and says “I don’t know about this.” He refuses to go on and the experimenter tells the naïve participant to take over delivering the shocks. Desirability of Control Scale is a 20-question test that measures locus of control - how important is it for you to be in control of events in your life. Burger found that 70% of participants in the baseline condition were prepared to go past 150V, compared to 82.5% in Milgram’s Variation #5. This sounds like a big difference but it is not statistically significant given the number of people involved. Burger also compared men and women but didn’t find a difference in obedience. Women were slightly less likely to obey in the “model refusal” condition but this was not statistically significant. Empathy did not make a significant difference to obedience. However, in the base condition, those who stopped at 150V or sooner did have a significantly higher locus of control (but this was not the case in the “model refusal” condition). Burger concludes that Milgram’s results still stand half a century later. People are still influenced by situational factors to obey an authority figure, even if it goes against their moral values. Burger makes the assumption that any participant who was willing to go beyond 150V would have been willing to go all the way to 450V the way Milgram’s participants did. He argues that their “self perception” would have made them do this. People like to see themselves as consistent; once they had made a decision to ignore the heart condition, they would not go back on that. The “model refusal” results were not very different from the base condition. This is odd because Social Impact Theory suggests the impact of the authority figure would be lessened if divided between two teachers rather than focused on one. Milgram found less obedience in this condition, but he used two rebellious models, not one. Empathy didn’t make a difference to obedience, which goes against what Milgram thought and what Burger expected. However, locus of control did make a bit of a difference, suggesting some people resist the agentic state. However, this disappeared in the “model refusal” condition and Burger doesn’t have a definite explanation for that. Miller (2009) evaluated Burger's study in the same year it came out and you can read his article here. Burger’s sample of 70 people is larger than Milgram’s sample of 40. It covers a wider age range (Milgram recruited 20-50 year olds, Burger 20-81 year olds) and two thirds of Burger’s sample were women, whereas Milgram’s were all male. However, when you add up all Milgram’s samples across all his Variations, there are much more than 70 and Milgram did test women in Variation #8. Burger also excluded a lot of people from his final sample; for example people with emotional issues or some education in Psychology. This may have affected the results and Milgram used a wider range of types of people. Milgram’s original procedure is very reliable because it can be replicated. In 1974, Milgram published the results of his 19 Variations, which all replicated his baseline 1963 study. Burger is replicating aspects of Variation #5 (heart condition to test for empathy) and Variation #17 (model refusal) as well as Variation #8 (testing women). Burger followed Milgram’s script wherever possible and used the same confederates every time. By filming the whole thing, Burger adds to the inter-rater reliability because other people can view his participants’ behaviour and judge obedience for themselves. The study demonstrates how obedience to authority works and this can be used to increase obedience in settings like schools, workplaces and prisons. Authority figures should wear symbols of authority (uniforms) and justify their authority with reference to a “greater good”. Testing people for locus of control might identify those most likely to be disobedient – people with a strong need to be in control are less likely to take orders. Social Impact Theory suggests strategies for increasing the pressure on these people to be obedient. Milgram’s study was criticised for lacking ecological validity because the task is artificial – in real life, teachers are not asked to deliver electric shocks to learners. This criticism still applies to Burger’s study. In other ways the study is valid. Because the participants were paid fully in advance, we can be fairly sure it was social pressure that made them continue shocking, not a cost/benefit calculation about whether they personally would gain or lose money. However, stopping the study at 150V may be invalid. Perhaps participants who were prepared to go to 165V would still have dropped out later. It is a huge assumption to say they would have continued to 450V. The “model refusal” group, in particular, might have had second thoughts as the shocks got stronger. Burger believes his study avoids the ethical problems of Milgram’s original. Burger screened out participants who were likely to be distressed by the study. The Experimenter was a trained clinical psychologist who could identify signs of distress and would stop the experiment if anyone seemed to be disturbed by what was happening.. The study was approved by the university Ethics Panel, who had the power to shut it down if it looked like anyone was being harmed. Burger reduced the test shock from a painful 45V to a mild 15V. He also stopped the study at 150V so he didn’t force anyone to “go the distance” to 450V, which reduced many of Milgram’s participants to tears (and three of them fainted). Nonetheless, there are still ethical criticisms. Burger deceived his participants just as Milgram had done – the shocks weren’t real, the learner’s cries were a tape recording, the learner and second teacher were confederates. He did not get informed consent (as with Milgram, this was advertised as a memory study), although he did debrief participants afterwards. The BPS Ethical Guidelines say participants must not be distressed; even though no one was reduced to tears, the procedure was surely distressing for at least some participants. Burger’s study has problems with ecological validity just like Milgram. Giving electric shocks to a learner is artificial and doesn’t happen in real life. That means the study doesn’t really tell us about why people obeyed the Nazis. In fact, the situation is so bizarre it might not tell us anything about the participants' normal behaviour. However, Burger did improve the validity by paying the participants $50 in advance. He also advised them three times that they could withdraw and still keep the money. This removes the confounding variable in Milgram's original research that some of them might have continued because they were worried they would lose the money (a cost/benefit analysis, not real obedience). Burger’s biggest problem is that he stopped the study at 150V and assumed that anyone who was prepared to go on would have gone to 450V. This is Burger's "150 Volt Solution" but it might not be a correct assumption, especially in the “model refusal” condition where participants might have had second thoughts and backed out later. However, Burger did this to make the study more ethical than Milgram. 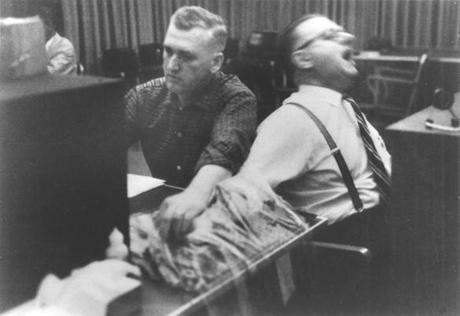 Delivering the higher shocks to a learner who seems to be dead was very distressing for Milgram’s participants and Burger spared his participants having to do this. He also screened out people with emotional issues and made sure the experimenter was a clinical psychologist who could identify distress and stop the experiment if the participant showed signs of suffering. Burger did what was supposed to be impossible – replicating Migram ethically. He settles the debate about whether you would get Milgram’s same results in the 21st century – you would! However, he leaves a lot of questions, such as why empathy didn’t make people stop and why the “model refuser” had so little impact.